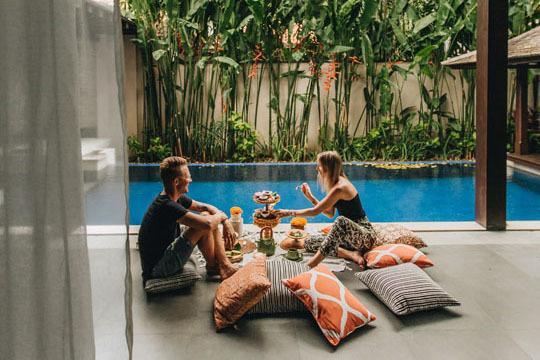 Embrace the spirit of a traditional village at Alaya Dedaun Kuta in this collection of just 12 private villas designed to take your outdoor living experience to a new level. 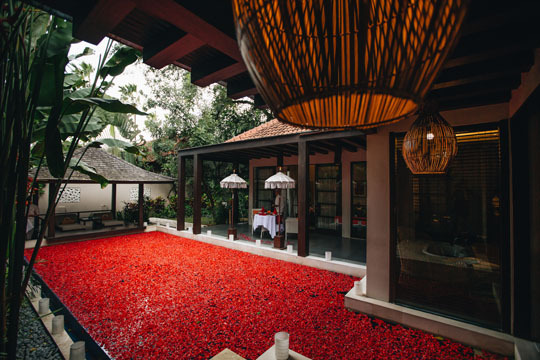 As the only Diamond-certified villa complex of its kind in the area, Alaya Dedaun Kuta offers affordable luxury with a distinct focus on tropical relaxation. Attention to detail and heartfelt service, delivered by a team of trained butlers, promises discerning travellers a culturally related experience without the excessive price tag. Steeped in romance and with a choice of well-appointed one, two and three-bedroomed villas, Alaya Dedaun Kuta is the perfect retreat for honeymooners and couples seeking serenity, or for groups and families who desire all the modern home comforts, space and convenience of larger properties. Known as Kuta’s little secret, the property is discreetly tucked away from the buzz of the main street and within easy walking distance to Kuta’s famed stretch of sunset beach. Alaya Dedaun Kuta is supported by a charming restaurant facility edged by exotic native greenery that serves a menu featuring authentic local and international cuisine, while the adjacent well-manicured lawn lends itself to small events such as garden parties or intimate celebrations. 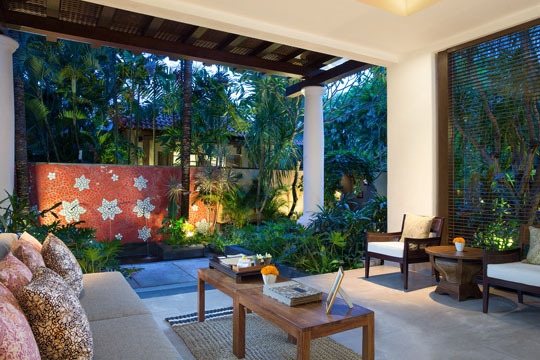 Alaya Dedaun Kuta is also home to the award-winning wellness facility DaLa Spa Legian. 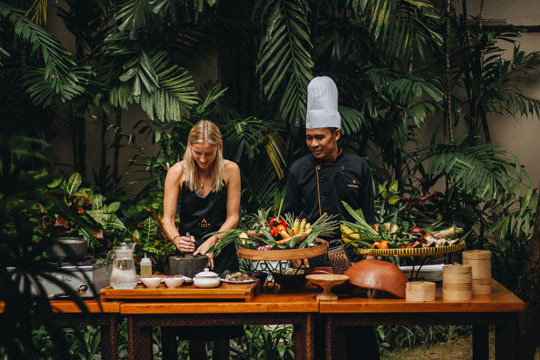 With a design that embodies the refined style of a bygone era, guests can enjoy head-to-toe indulgence with a curated menu of treatments inspired by Indonesia’s age-old healing and beauty rituals.